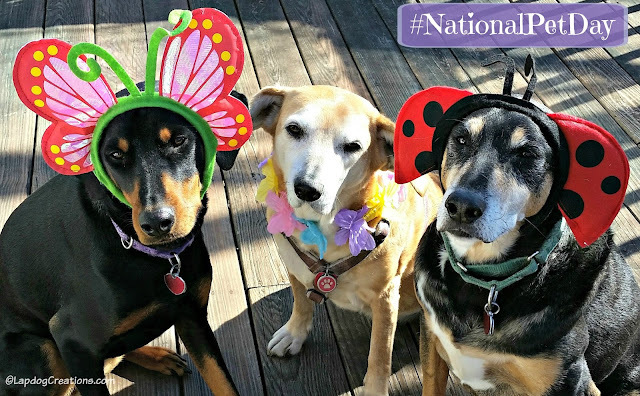 Founded in 2006 by Celebrity Pet Author Colleen Paige, National Pet Day is celebrated each year on April 11. Colleen created the day to "celebrate the joy pets bring to our lives and to create public awareness about the plight of many different kinds of animals awaiting a forever home in shelters and rescues all around the globe." Get your crafty friends together for a fun-filled afternoon making no-sew blankets or toys to donate to your local shelter. Check out these easy tug toys we made. Organize a fundraiser for your local shelter - have a yard sale, schedule a Paint Night with friends, donate a portion of the proceeds of an item you sell on etsy, etc. Share photos of pets looking for their forever homes on social media - visit your local shelter or rescue organization's page and share, share, share! Every day is Pet Day around here. I'm waiting for National Caretaker's Day. We're making dog food today which is a favorite activity, then we'll play ball in the yard. Of course there'll be plenty oh hugs and cuddles, too. I think it would be so much fun to have a national pet day gathering. I think a party is definitely in order for this celebration. I can picture bobbing for apples and eating yummy fruit snacks with our dogs. 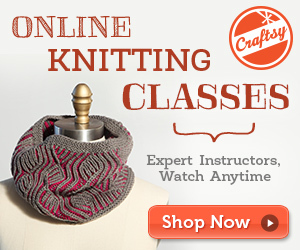 Love all the ideas, especially having a crafting session with friends and donating to shelters. Every day feels like National Pet Day in our house, but I think it's a good opportunity to remind people how lucky they are to share their lives with pets, and how much richer they are as a result. You have some excellent tips about ways to celebrate, that will help others not as fortunate to have a loving home. Oh, come on. Every day is Pet Day. Why, just yesterday, I packed a ham bone in dry ice and sent it to Natasha, since she's feeling neglected with Shannon spending much of her time with the baby in the NICU. Tank will get the Easter ham bone, and I'll send the Easter lamb bone to Natasha with Cass. See? Every day is Pet Day! The lap dogs look adorable in their headgear. I love the ideas to help out shelter pets! It's great celebrating the dog we already have and love, but it's even better to take this day to go out of our way to do something special to help pets in need. One thing I love doing that's super easy is helping with transport. You get to help dogs get out of shelters and to their new rescues, foster or forever homes before their "time" is up. It doesn't take much time and it really helps save more shelter dogs. Great post! A lot of great info and ideas! As some have already commented, every day is Pet Day at our house too! The adopting a pet part is especially great-I hope a lot of people take you up on that one. Helping shelter pets is top of our list,, we fundraise and help Place for Cats foster network. fun ideas. We went and did a reading of our kids books at a school. Talked about pets, travelling with them and more. The pups look SO cute in their little head pieces! I love those. Your ideas are all great, I like the idea of having a yard sale & donating the money, what a great idea! We "spring clean" quite often so that we can bring stuff to our local shelter. Everyday is picture day at our house. The girls never know when I am going to point my phone at them. The good camera comes out pretty often as well. Love the idea of sharing adoptable pets. We used to do that more often but life has gotten busy. My best friend's birthday is April 11. I love the idea of having a party for National Pet Day. Maybe next year I will have a joint party for my friend and our pets - and we could do some fun pet related crafts, too! Great ideas! I took Mr. N for an extra long walk and we went to the dog park as well. He liked exploring the new neighborhood. Hope you all enjoyed National Pet Day. 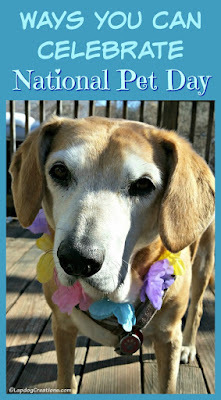 Really and truly us pet parents celebrate our furbabies everyday! Cute pictures! These are all wonderful suggestions! I had hoped to throw a small party for friends and their dogs, but it didn't work out this year. Scheduling a photo shoot is my favorite way to celebrate!